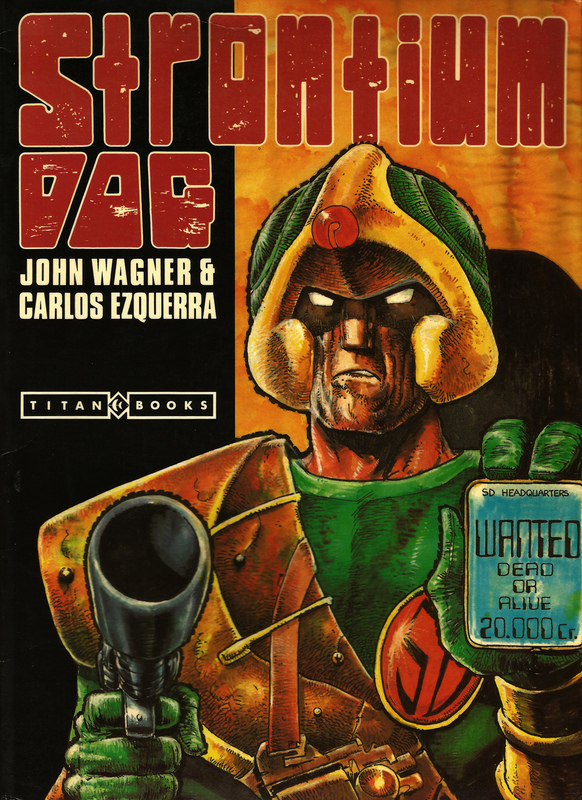 In 1981 Titan Books began reprinting stories from 2000AD, the weekly British science fiction anthology comic. 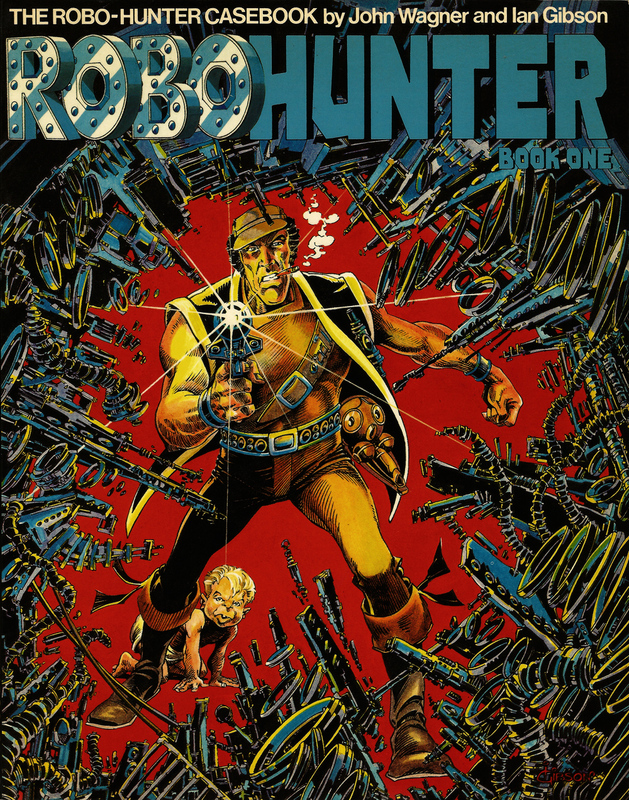 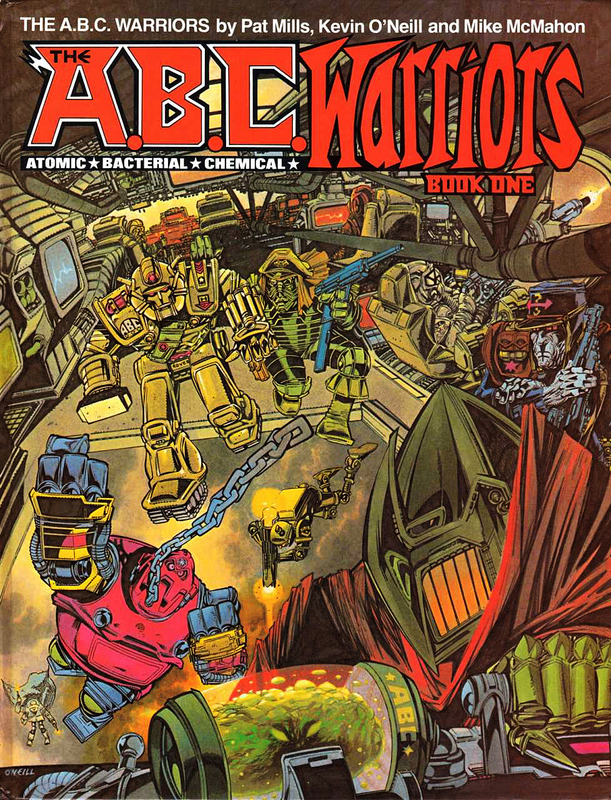 Fan-favourite Judge Dredd was the first to receive the reprint treatment but other popular strips from ‘The Galaxy’s Greatest Comic’ soon followed, including four volumes starring The A.B.C Warriors. 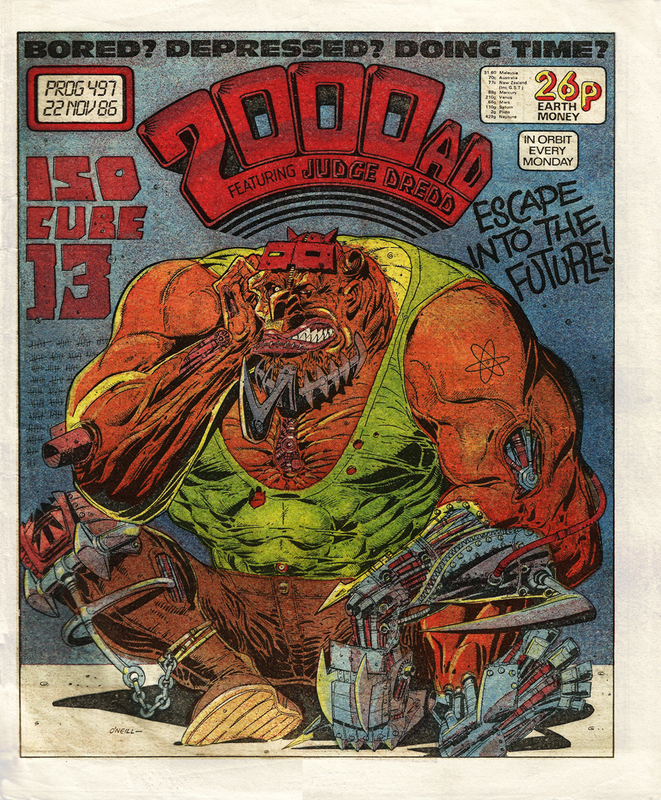 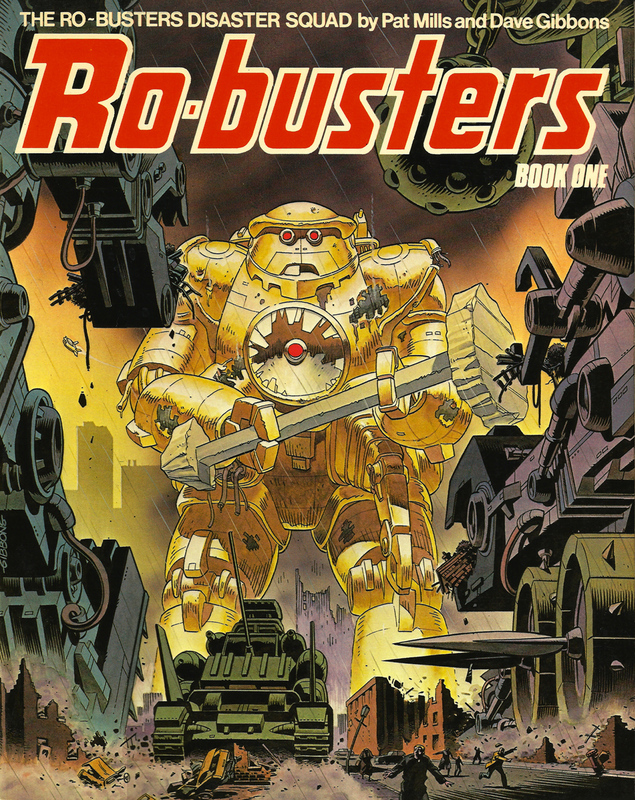 Toward the end of 1986 artist Kevin O’Neill contributed a handful of covers to weekly British science-fiction comic 2000AD. 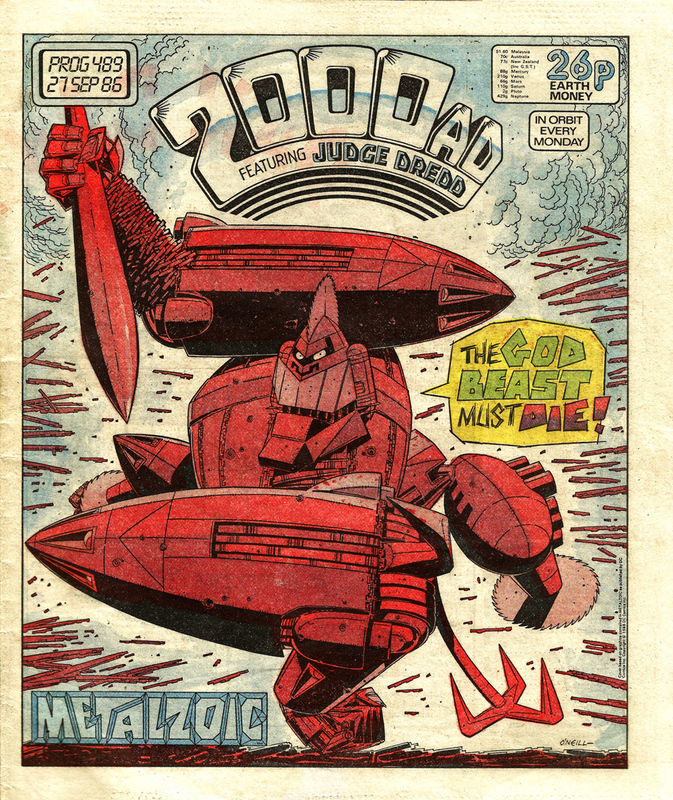 All those covers demonstrated his unique artistic style and the cover to Prog #497 is no exception. 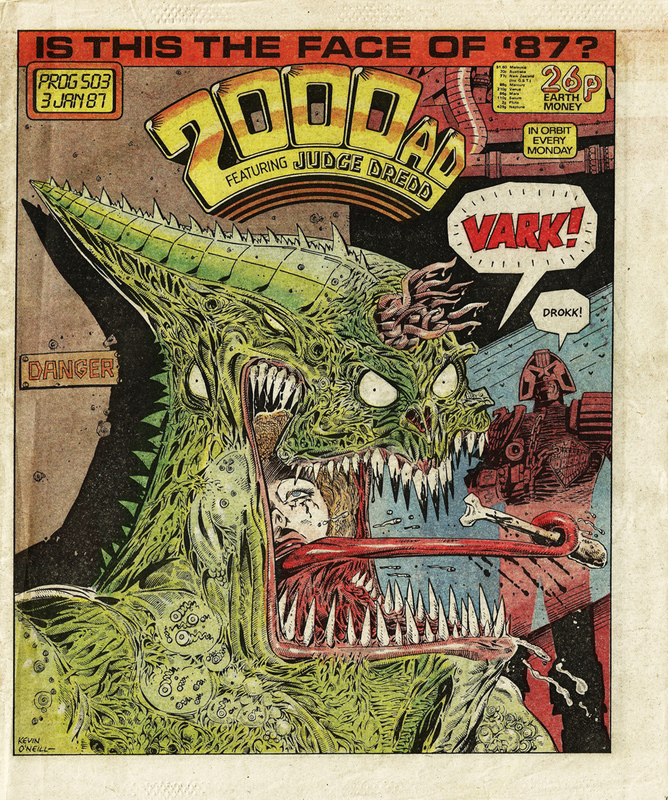 Prog #489 of 2000AD comic featured another terrific cover by artist Kevin O’Neill.